I'm mostly a generalist. That means I'm pretty good at many things and have alot of perspectives, but it also means that there are people who are better in their areas of focus. I have degrees in art, ecology, and information systems. I work with computers and study the way that people interact with them as individuals and groups. I'm currently researching anonymity and trustworthiness in my PhD work. Operating Systems Windows, OSX, Unix, Linux, Irix. Frameworks: OpenGL, WebGl, Tensorflow, Spring, TypeScript, AngularJS, ThreeJS, GLSL, R, Flex, OpenHaptics, FLTK, DirectX Audio, etc. Genetic algorithm and genetic programming methodologies. 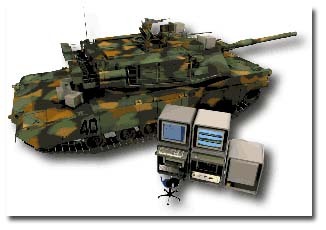 ASRC designs, develops and delivers software and solutions to collect, ingest, process, analyze and present large and complex data for critical mission sets of national significance. ASRC helps the Intelligence Community, National Security and Federal agencies exploit data to identify trends, make better decisions and accomplish their critical mission objectives.. Currently leading the development of human-centered machine learning systems. Rather than focusing directly on the explicit information contained within data storage and retrieval systems, my work focusses on the behavior patterns that humans produce as they interact with this information and each other in computer mediated spaces. Outputs of this work include manifold reduction and clustering algorithms based on group polarization which is then used to produce self-organizing maps for predictive analytics. Other work includes development of tools that support dynamic interaction with data such that user behavior within the information space can be determined. This behavior in turn can be used to infer the quality of the underlying information. Developed supervised and unsupervised machine learning, AI and network analytic tools for a project used by health care organizations to monitor staff and applicants for positive and negative behaviors. The system uses analysts to guide the learning of various ‘profiles’ that are then used to generate flags with respect to the person of interest. An ontologically-based network is associated with the retrieved information in such a way as to provide dynamic, interactive exploration of individual and group behaviors from a variety of contexts including cost, performance, team cohesion and morale. Novetta is a provider of leading-edge products to many of the world's most secure network infrastructures, specializing in the way that people view, share and engage information. Architect and senior developer on a project to provide a complete AngularJS/TypeScript/WebGL visualization framework for the creation of interactive dashboards. Data is accessed using a web based scripting system that can be configured to read in and store data from virtually any source. Data can then be visualized as graphical "dashboards" that show various aspect of the user data in 2D/3D charts integrated into Single Page Applications. Developed a Natural Language (NLP) based search system that builds traversable word networks/matrices that in turn can be used to determine influence and adjacency relationships between words and queries. In the current implementation for a financial analytics system a query such as 'project foo budget 2015' will return a list of live queries, charts, reports etc., ranked by relevancy. 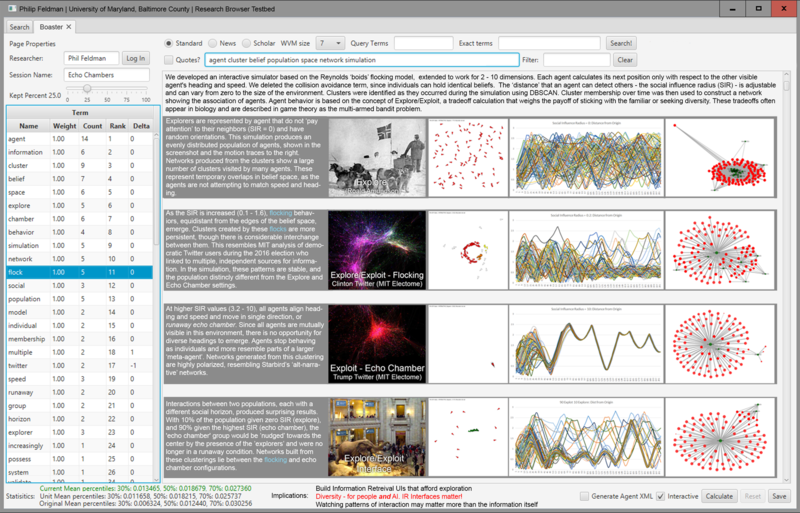 A "data agnostic" tool for visualizing and exploring data. It could load in almost any kind of data from a single table (i.e. a set of columns with text or numeric data in the rows) and build a display that let the user visualize the relationships within and between the data. Flex-based jython IDE for creating and running server-side scripts. 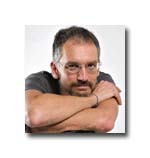 The user can develop, run and debug the scripts entirely within the IDE. Scripts can publish data RESTfully and can read data from URL sources or accessing databases using façade calls to jdbc. A data ingestor that could reach out to an URL that exposed data in a RESTful service and bring in the data periodically. A user could also select an Excel file on their local computer and upload it directly. Data could be specified as public or private and then be further narrowed down by the group that the user wanted to publish to. A statistical analysys package for detailed analysis of data stored on the system. In this case, the server ran an instance of the R statistical analysis engine, while the client provided a 'point and click' interface, allowing a more intuitive way to perform analysys such as ANOVA, MANOVA, simple and complex contrasts and power analysis. Senior developer on mobile data visualization project. Data is gathered from a variety of sources, ranging from other mobile apps, webapps, and data uploads. Ingest and storage is handled using Google's AppEngine to communicate with the applications and Google Docs to store the data. Data can then be interactively and graphically explored on iOS, Blackberry and Android devices. Developed several haptic interface technologies for telepresence and virtual reality integration. Patents pending. Managed the technical development of a web-based financial tracking system using Flex to create 'shared spreadsheets' that users can access at various levels to track funding and status of projects. Currently developing a GLSL charting package for high-performance visualization of large datasets. Proteus Technologies is a provider of professional software and systems engineering services for Government intelligence agencies and commercial industries. Led the development effort to implement a web-deployed health and status visualization in Flex. The system consists of a set of custom Flex components in a library that allows a user with minimal training to assemble a sophisticated display from 20 - 40 lines of mxml script. 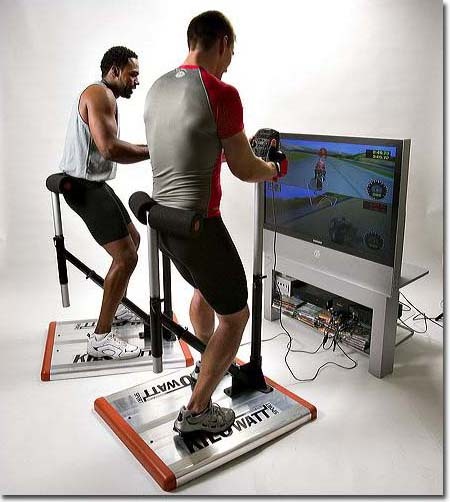 Powergrid Fitness is a company I co-founded to produce exercise equipment that exploit the tremendously motivational nature of videogames to provide an entertaining, addictive workout. Due to Powergrid's small size, I've pretty much been involved in every aspect of the company, from writing parts of the business plan to welding up our trade show booth. My particular duties have been the invention and development of the core isometric technology and the design of the entire product line. 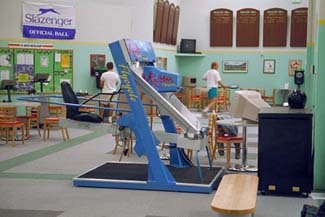 Over the past three years that effort has included coming up with the core isometric/strain gauge technology, determining the ergonomic constraints for combination exercise and gameplay, supervising the initial mechanical and electronic design, as well as the actual design and implementation of the derived products. Along the way I designed and fabricated numerous prototypes, ranging from cardiovascular attachments for the Kilowatt to complete exoskeletal systems for the military. I also designed and built Powergrid's test rigs, which include a robotic fatigue tester, several destructive test platforms, and a computerized pass-fail system for assembly line QA. In other roles, I've designed and implemented iterations of the website, sourced materials, authored patents, written STTR proposals and been interviewed by everyone from NBC Nightly News to the Laurel Leader -- in other words, everything you'd expect from a small, high-tech startup. General management and implementation of entire development and prototyping process.
" 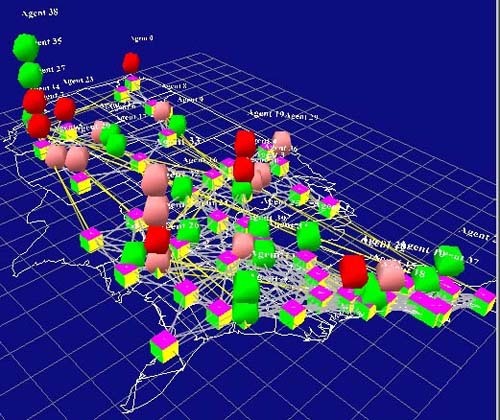 Developed 3D agent-based simulation system based on GeoGraphs, the RePast platform (Java) and XML. This contract was with the Office of Naval Research through the University of Maryland. The system provides methods for using geographic agent networks to model generic social situations, ranging from epidemics to terrorist threat and response. The system is designed as a series of modules that are used to create the initial topology, define the agent characteristics, create or modify the terrain, and run the sim, either in an interactive format, or in batch mode. The batch more can further be controlled by a master control program that treats the variables used in the simulation as elements in a Genetic Algorithm string and can as such use a GA scheme to determine optimal initial conditions for reacting to for example, the release of a toxin into the water supply.
" Developed large-scale LIDAR point visualization and manipulation software for NIST. Developed in C++ and written to be cross platform between Windows and Linux, the system provides the user with the capability of manipulating and aligning datasets consisting of up to 50,000,000 points in real time. 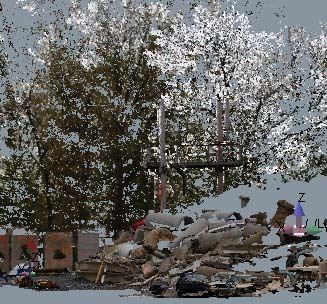 The user manipulates a set of custom FLTK interfaces to adjust the Euler angles and matrices of each LIDAR pointcloud. Automatic routines create features from clusters of points that in turn can be used to automatically align datasets. Designed a transaction-based generic simulator architecture for procedural (i.e. stepwise) simulators. 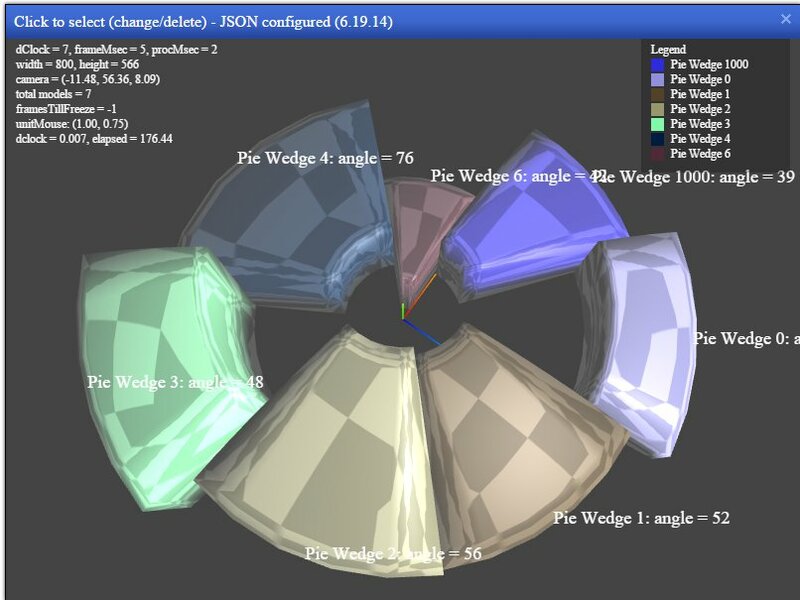 This architecture allows for the simulator to reconfigure itself on the fly to incorporate new simulation elements in the form of dynamically-loaded plugins. Supervised the software development for three product lines - Peripheral Vascular Access, Endoscopy, and Interventional Radiology, with a staff of 12 - 15 throughout the development process. Supervised development of cross-platform systems, including security, development tools, render engines, and physics libraries. Introduced an intranet-based issue tracking system (GNATS) for handling bugs and other issues in the development process. This became the primary means for resolving issues in the development process, and produced a clear trail of the implementation process. Based on feedback on the rest of the company, supervised the development of a 2nd generation issue tracking system using PHP and PostGreSQL to cover the entire product lifecycle in a structured, tracked way, from concept to product obsolescence. Project leader on the development of several virtual-reality based exercise/rehabilitation machines. The goal was to develop and market a machine that works most upper and lower muscle groups in the context of an engrossing game playing experience. 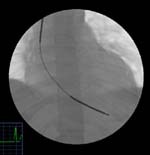 Co-developer of a trade show interventional radiology simulator. This included the development and implementation of a cellular-automata based fluid flow model for blood flow and drug delivery, a full control system for the integration of the simulation with the interface and haptics devices, and a physically-based model of the catheter and balloon angioplasty hardware. 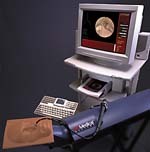 Developed a Win95/PC-based interface for a 5 degree-of-freedom robotic vascular access simulator. This included the communication drivers RS-232 and TCP-IP, and the algorithm for distributing the processing across the PC and the host SGI. Led the development of an internal simulator framework that relied on a number of distributed finite state machines that communicated using a dictionary protocol over 10MB/sec Ethernet. 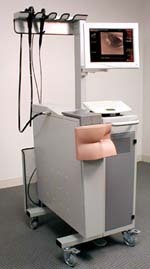 For a vascular access project, developed driver software for Win95 and NT platforms, and designed and produced mechanical prototypes for over 50% of the design. 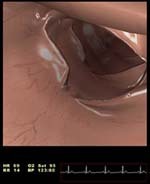 Implemented a proof-of-concept 3d graphic simulator for vascular access and rigid bronchoscope simulators. This led to a transition from SGI to PC platforms for HT simulator products. Invented, developed, and patented a prototype virtual reality exercise machine including audio, 3D graphics, and a 3 degree of freedom motion platform. Developed and implemented a graphics-based CASE tool for a C-language implementation of a state-table/dictionary-based control system running on a Silicon Graphics UNIX platform. This CASE tool has in turn been used to develop a series of projects including videogame development, material handling, highway planning, and minefield clearing simulation. Using topological study and high-speed analysis software, developed the “neighborhood” mail handling scheme currently being implemented in USPS General Mail Handling Facilities. Developed and implemented a prototype software package that allows rapid development and simulation of intelligent materials handling systems based on conveyor and monorail systems. The package is completely reconfigurable and script-driven, and requires no programming to interactively explore a wide variety of fully simulated and operable material handling system layouts. 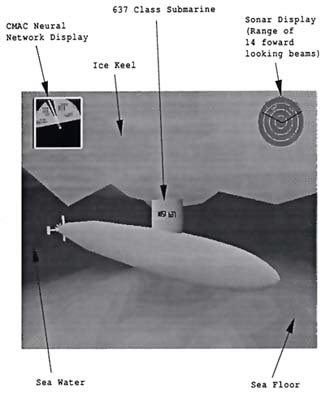 Developed and implemented simulation and graphics for a demonstration project involving the simulation of a 637-class submarine. 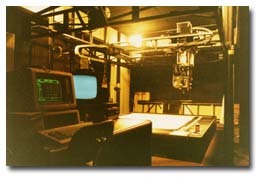 Elements to be simulated and portrayed included the surrounding environment, the submarine, and control system. Generated and implemented simulations of various large scale mail handling system prototypes. These simulations were developed to run in real time and provide the user with a detailed, three dimensional view of the facilities, with full “walk-through” capability. Project Engineer on the CQCR training system, a classified system involving the real-time combination of video, computer graphics, and mechanical control in a building-sized environment. Co-project engineer on the GUARDFIST appended tank training system. This included: 1) the development and implementation for the proof-of-concept system, which showed the superiority of computer graphics over videodisk technology. 2) Development and implementation of the physics simulation for the production system. 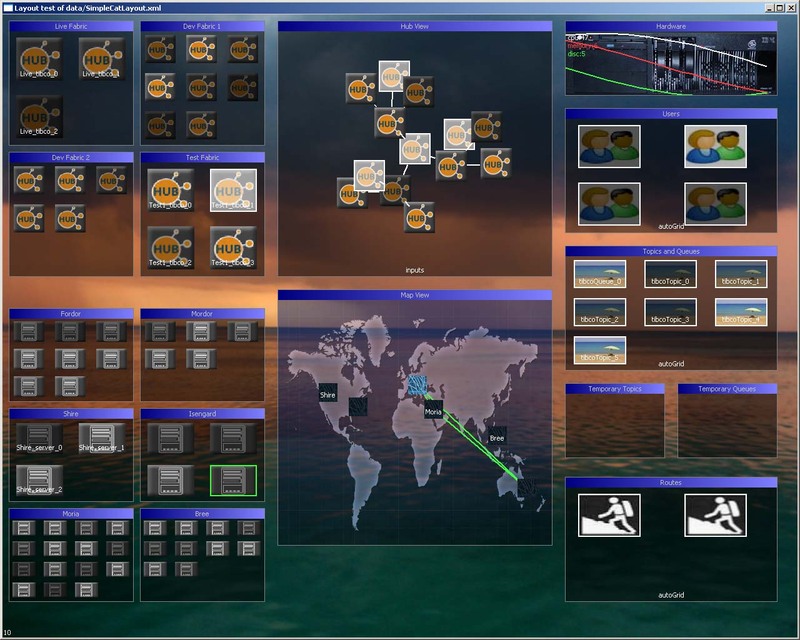 And 3) Supervising the development of the real-time graphics for the production system. Developed a system for tracking a camera position in space with extreme accuracy in real time, Depending on the size of the environment, the camera could be tracked using mechanical linkage, emitter/camera, or laser-based systems. Accuracy on the order of .0001 inch were required for the system, which also had to be lightweight enough to be hand held. Worked on motion control, lighting and camera for a number of commercials, including spots for Pillsbury, Rayovac, Citrus Hill, Coronet, Grundig and Krupps. 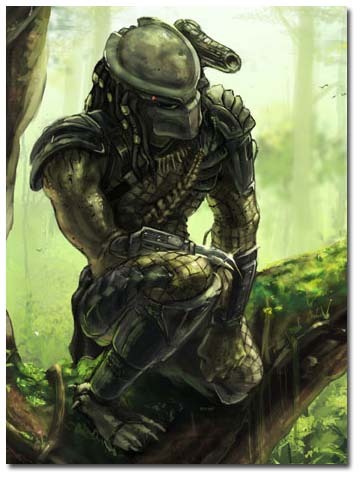 Also assisted on the feature Predator. United States Patent # 7,121,982: Computer interactive isometric exercise system.